Commission a custom made papercut ketubah designed to your exact specifications. It can include anything you want to symbolize your relationship. Designs can incorporate a particular location that's important to you or to include objects that hold special meaning, you will create a ketubah that is uniquely your own. It can even include portraits cut out to your likenesses. To order your custom ketubah you can either go through my shop section, or go to my Etsy shop. 1) Tell me all the details about the perfect ketubah you envision. Include your names and wedding date and tell me a bit about yourselves. Tell me what you would like me to create, what you would like the design to include (and the things you absolutely do not want to include), the exact size you would like, and your favorite color for a background. If you know what you want, go ahead and send me pictures as well. 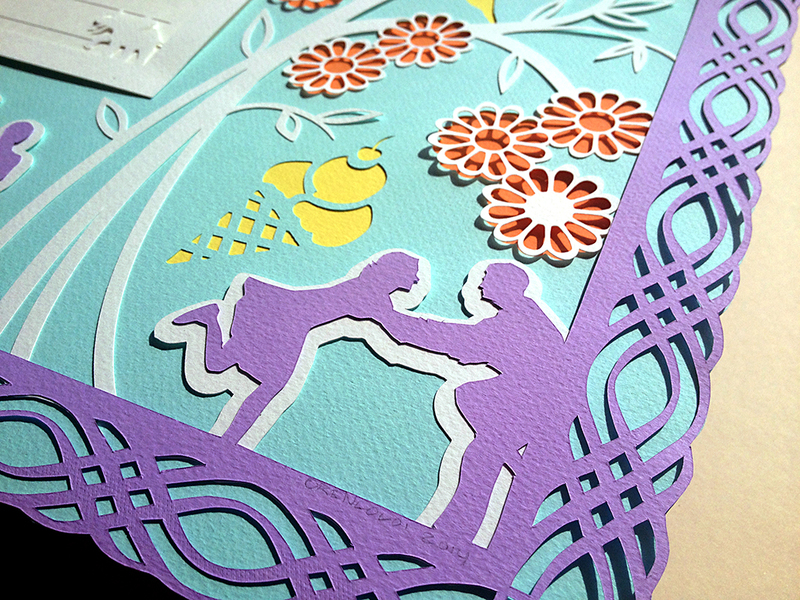 If you're unsure and need some ideas, I will work with you to come up with a meaningful design. There is almost no limit to what you can incorporate into a custom design. You can choose to include specific things that matter to you: your favorite animals, a tree you love, or even pictures of yourselves. 2) I will start designing your custom ketubah after you place your order and payment is made. Payment is due in full up front. I will send you a digital proof of the design and text within approximately one week. 3) Finalize the text you would like to use for your ketubah. You can write your own if you prefer. If you need help with choosing or filling in a text, I can help you out. 4) Carefully review the proof I will send you along with your officiant or Rabbi. Once you approve the proof you can no longer make any changes. You will be able to make one round of revisions to the design in order to get it just right. 5) After you approve your design I will begin working on cutting your ketubah. Turnaround time for your order is up to 30 days after the proof is approved plus 3-6 days for shipping. Take this into consideration when placing your order. It is best to start the design process as early as possible to ensure that your custom ketubah is ready in time for your wedding day. 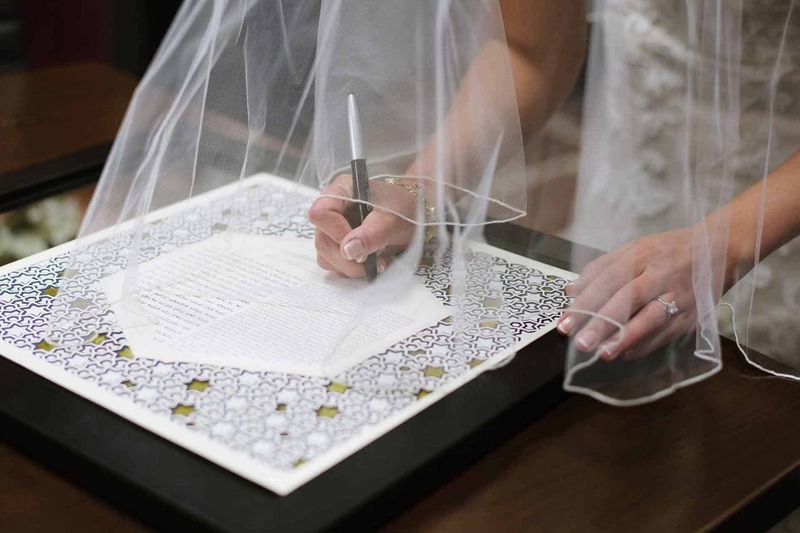 The ideal time to order a bespoke ketubah is at six months (or more) before the wedding, while the minimum time needed is approximately four months.